My high school basketball coach once told me, “Forget about that bull about going to California and finding yourself. Go to college and get a job, work hard and then life will make sense to you.” He was addressing the whole team, but he was looking directly at me, the artsy kid that the team had (affectionately) nicknamed Moon Jockey. He knew that I had thoughts of traveling, thoughts of “getting out” and thoughts of finding “more”. There were answers to larger questions out there, and I had a longing to find them. But his words made sense. They spoke to a part of me that was practical, and I could sense that those words came from experience. Real adult experiences, not the brief glimpses with the “real world” I’d had in my short 16 years. So how do we know when we’ve grown up and left this childish, self-centered world behind us? “It’s when we begin to create.” stated Pastor Bill. We put our positive energy toward building something. We create things at home and in the community. We create our careers. 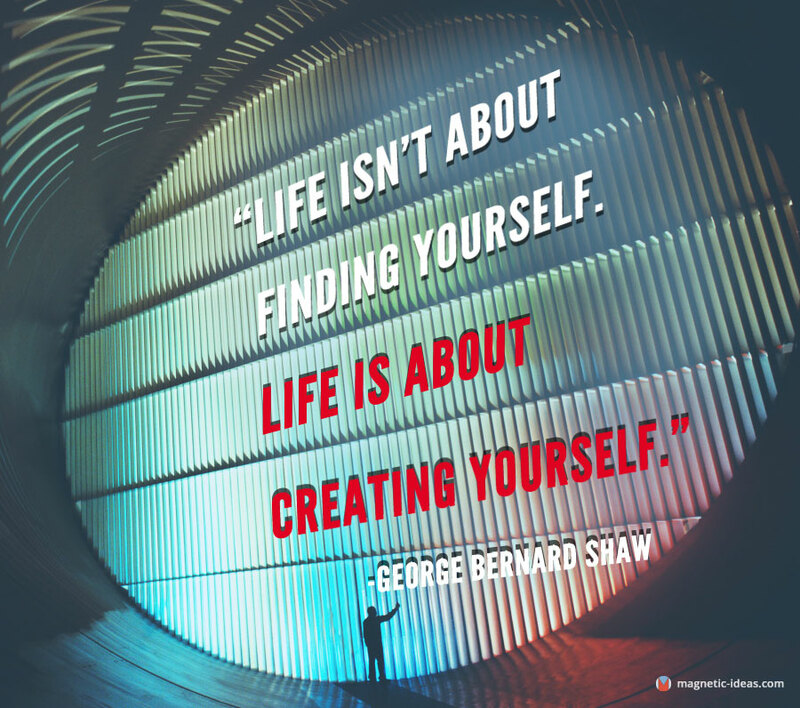 We create our families, our social lives, and ultimately we create ourselves. It is through the act of doing, not seeking, that we build on. My coach was right. It’s not the seeking, but the doing that makes us grow up, take responsibility, and understand that who we are is in relation to what we do, and what we create.